Do Pathological Liars Believe Their Lies? Do Pathological Liars Believe Their Lies? Do Pathological Liars Believe Their Lies? The psychological term for pathological lying is pseudologia fantastica. The subject is somewhat controversial amongst professionals in the psychological community. The person may totally believe what they are saying is the truth. The individual who tells such lies may also be knowingly telling an untruth. In many cases, a person who is a pathological liar gets caught up in telling fantastical events that have no discernible end. He or she may tell the lie once but often has to tell more lies to make the first lie look truthful. Over a period of years, the original lie becomes very complicated and extensive. In some cases, the lie is perpetuated over a person’s entire lifetime. The pathological liar can tell amazing or fantastic stories, but they always have enough of a grain of truth to make the listener think the story may be true. In many cases, the liar can tell that the story is unreal, but a chronic need to cover the story and make it appear true is a behavior trait of the person’s innate behavior. It is not unusual for a person to tell a lie out of fear of reprisal. A pathological liar is considered mentally ill because he or she tells lies for no personal safety reasons or gain. The stories the liar tells will be geared toward making the liar look good or appear favorable in some way. The person with this disorder may present themselves as being wealthy, brave, or as having a close relationship with someone famous. Sometimes the lie is a false memory. In this case, the person telling fantastic tales honestly believes that he or she has done awe-inspiring acts of love, evil, or bravery. If the individual falsely believes they have done a horribly evil act, they may also feel a great need to atone for that act. • Failing family relationships and friendships. • Legal problems such as fraud. Psychotherapy is the single therapy that is successful methods of treating a pathological liar. 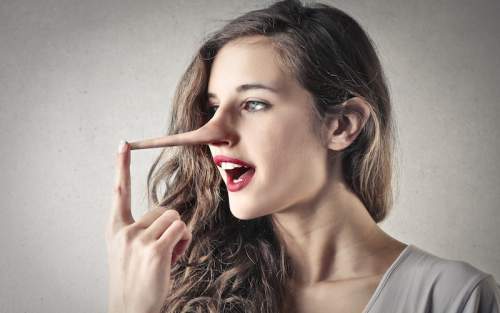 Differences in brain matter may indicate that some people may have a predisposition for lying. On the other hand, other researchers argue that the more a person lies, the more their brain develops in such a way that the brain’s chemistry is changed permanently. Continued research should one day give us more insight as to whether such liars are lying intentionally or not, and what can be done to help them.